Listen in as GrassrootsHealth founder and director, Carole Baggerly, is interviewed about vitamin D! Learn more about the research projects we are currently running, and those that are up and coming. And, if you haven’t heard her story about why she started GrassrootsHealth, then this is your chance! The Late Night Health radio show started when host, Mark Alyn, experienced back pain and his insurance company refused to cover the problem. Working with “The Insane Darrell Wayne”, they created an upbeat, unique program showcasing a wide range of health topics. From energy healing to the latest techniques to fight cancer, the show is a blend of traditional and alternative health modalities. We hope you enjoy learning more about GrassrootsHealth and the research! 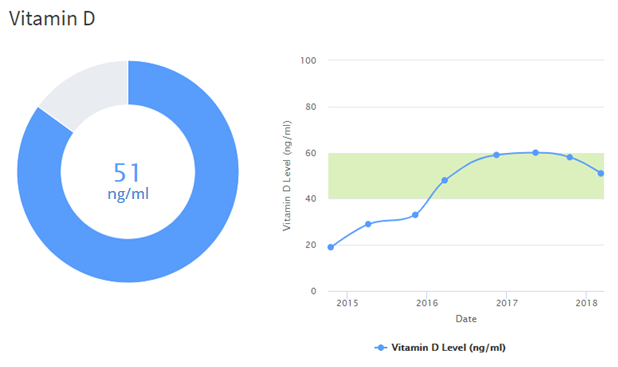 How can I track my vitamin D levels? To help you track your nutrient levels, GrassrootsHealth has created an online tracking system called myData-myAnswers. This will help you know how your nutrient intake and status impacts your health. See our special offer above and check it out today!